This article is part of the Dynamars Corporation Information Kiosk series. **Welcome to the Ares Station Update Service. This appears to be your first visit to an information kiosk. Please read each update in full. **This kiosk is designed to keep you up-to-date on the latest developments pertinent to residents of the DynaMars Corporation's Ares Station, the premiere living and research colony on Mars. As you know, there have been a number of technical difficulties as of late. Please take a moment to review each entry. On behalf of the DynaMars Corporation, welcome to Ares Station! As of today, we are officially open for business! You are now standing in the most advanced structure ever conceived, and we are tremendously honored to host you! Four decades of planning, research, and construction have finally paid off. Enjoy the fruits of our labors. Enjoy life on Mars! Please take advantage of the Ares Station Update Service, accessible from kiosks located in the entrances to each area, for all the latest news! Area 3 is reporting total failure of the Electron Catalyst Dephazer, which accounts for the lasers shooting through the neighboring Area 3 Dining Hall and the power failure in the Area 3 Daycare Center. The situation should be resolved in two days time. DynaMars Corporation cares! We have heard your complaints about constantly getting lost, and we are working to resolve the matter quickly. We know that Ares Station can be hard to navigate, but do not worry - help is on the way! All kiosks and personal datapods will be updated tomorrow with maps and navigation systems for the station. Due to a freak accident with a DynaMars Corporation workstation, all maps and diagrams of the Ares Station have been lost. We are working to recover this valuable data as quickly as possible. In the meantime, we have dispatched a crew to map out the station and install a handy navigation system in all station kiosks and personal datapods. The mapping crew should arrive shortly. We regret to inform you that the Electron Catalyst Dephazer is now operating on its own free will, and continues to shoot lasers into the Area 3 Dining Hall. We have set up a replacement dining hall in what was the Area 5 Recreation Center. We have also relocated the Area 3 Daycare Center to Area 4's Conference Hall. DynaMars Corporation would like to wish all its employees a happy July 4th! By now you have all heard about the disturbance in the Area 5 Quantum Labs. Ares Station's security force had to use their entire supply of tranquilizer darts to subdue the 22-member scientific team working in Quantum Labs after they were overcome with madness and reportedly imbued with supernatural strength. Unfortunately, all members of the team died shortly thereafter due to internal bleeding and hemorrhaging. As you know, Quantum Labs has been at the forefront of energy bar research. The QL science team had been working diligently to tap into the human life force to produce the very best in delicious and healthy energy bars. DynaMars Corporation is deeply saddened by the loss, but nonetheless will be continuing research with a new science team arriving in 4 days time. Sadly, there is a second tragedy to report on. The 4-person mapping team that arrived here days ago is no more. All four members took their own lives in violent fashion. We are investigating alternative mapping agencies to help us with our navigation problems. In the meantime, we have put up helpful arrows to direct you to the most vital of areas. DynaMars Corporation is deeply saddened by this tragedy and offers its condolences to the families of the mapping team. Please send kudos to the lighting director, Chief Engineer Paskiewicz, for his minimalist style that has reduced basic power consumption by 90%. This was a necessary adjustment due to miscalculated power needs. We are expecting a shipment of flashlights to arrive in the next few days. DynaMars Corporation would like to assure the residents of Ares Station that the station isn't rearranging. We understand that the layout is confusing, but we assure you that it is impossible for the station to change its layout without our knowledge. Again, the station is not changing. The Atmospheric Processing Center in Area 2 is now infested by an alien growth of unknown origin. All research into the infestation has been futile, as the alien growth absorbs any organic matter that comes near to it. If you work in the Atmospheric Processing Center, please conduct your work using the remote consoles in the Area 2 Emergency Command Center, temporarily located in the Area 7 Smoking Lounge. We regret to inform all station residents that a bear is loose in the Area 1 Cargo Bay. Due to a lack of tranquilizer darts, we are unable to subdue the bear. Chief Security Officer Parsons alerts us that the use of any conventional firearms in the Cargo Bay could compromise hull integrity. We have no choice but to quarantine the Cargo Bay. This will delay distribution of flashlights. The elevator bridging Area 3 with Area 4 is now servicing an unknown dimension if you press the glowing red skull growing out of the elevator command console. We advise you not to touch this skull. To ensure utmost safety, please use the emergency stairs. Professor Platt, our chief animal researcher, is working on a solution to the Cargo Bay situation. He believes he will be able to negotiate with the bear, bartering for necessary station supplies with honey packets stored in the Area 3 Kitchen, just as soon as a team is able to get past the Electron Catalyst Dephazer's laser storm. We have an answer in regards to the intercom problem! It appears that some of Professor Platt's research into linking animal and machine minds has gone haywire. Specimen 042, a male Pommeranian duck, was linked with the Main Processing Control System. This was the source of the constant quacking being broadcast over the intercoms for the last seven hours. Professor Platt informs us that to forcibly disconnect Specimen 042 from the Main Processing Control System would lead to catastrophic shutdowns of all vital station functions. He is working to coerce the duck into voluntarily disconnecting. In the meantime, we are working to disable to intercom system for some much needed peace of mind. Professor Platt also informs us that he is making great progress in negotiating with the bear. With the honey packets secure, it's only a matter of time before the bear agrees to surrender and work with us. DynaMars Corporation is committed to solving the bear crisis in a timely fashion for the benefit of all Ares Station residents! We regret to inform you that a second bear is loose in Area 8's Communication Center. We are unable to communicate outside of the base now. This is to our advantage, though, as a lack of communication will result in the dispatching of an emergency rescue crew. The crew should be able to help us neutralize both bears. We believe that the second bear was able to send a message to the first bear, as it has given up hold of the Area 1 Cargo Bay and is now in control of the Area 4 Conference Hall. The temporary daycare center has been relocated to the Area 1 Cargo Bay as a result. Flashlights are now being distributed at the entrance to the Area 6 Ventilation Control Tower. Chief Security Officer Parsons believes the bears may be trying to link up. Should the bears be allowed to mate, there is a risk the station could be overrun with bear offspring. He is confident he can outsmart the bears. DynaMars Corporation is giving Chief Security Officer Parsons full support, and is reassigning the replacement members of Quantum Labs to aiding in the bear crisis. Both bears plaguing Ares Station have been neutralized, though fifteen security officers were killed in the process. Quantum Labs plan to feed the bears experimental energy bars worked, though it came at a high cost. We were able to make contact with the rescue team before they arrived. They were rerouted and regular supply shipments should resume shortly. Quantum Labs has once again been reassigned to its primary research field. Chief Security Officer Parsons plans to hold funeral services for his dead crewmen in two days time in the Area 8 Spiritual Needs Facility. DynaMars Corporation deeply regrets the loss of life in the bear crisis. We are getting scattered reports that the disabled intercoms are now bleeding human blood. Chief Engineer Paskiewicz believes it to be a simple technical error, and is working to resolve the matter by investigating computers in a previously unknown section of Ares Station connected to Area 7 Engineering Control that was just discovered days ago. The bleeding intercom situation is his highest priority at the moment. Once that is dealt with, he will handle the problem of all the station monitors displaying upside-down. There may be intermittent intercom activity throughout the week. We will try to keep them offline as much as possible, as Professor Platt is still working to disable Specimen 042. With the bear crisis out of the way, he is working full time on the problems plaguing the Main Processing Control System. If you need to get to Area 7 Engineering Control from Area 8 Sanitation Processing, please be advised the connecting gateway is out of service. There is a detour available, accessible in the Area 8 Sewage Corridor L-7. The broken pipe in Sewage Corridor L-7 empties into a mineshaft that connects with the previously undiscovered section in Area 7 Engineering Control. Chief Engineer Paskiewicz has fixed the upside-down monitor problem by updating video card drivers station-wide. Although Chief Engineer Paskiewicz was unable to stop the intercoms from bleeding, Professor Platt was. By finally convincing Specimen 042 to relinquish control of the Main Processing Control System, all intercom bleeding and quacking has ceased. Ares Station takes a bold step towards returning to total human control! It appears Specimen 042 did some good while in control. A survey team found that the alien growth infecting Area 2 Atmospheric Processing was dead. A review of logs shows that Specimen 042 disabled all life support systems in that section, thus depriving the alien growth of air. With the exception of the Electron Catalyst Dephazer and the elevator between Areas 3 and 4, Ares Station is meeting all operational expectations. DynaMars Corporation wishes to thank the residents and workers of Ares Station for their heroic efforts! EVACUATE THE STATION IMMEDIATELY! PROCEED TO EMERGENCY ESCAPE PODS IN AREAS 2, 3, 5, 6, AND 9 AT ONCE. The base is overrun with bears! Avoid areas 1, 4, 7, 8 at all costs! THERE ARE HUNDREDS OF THEM! SECURITY PERSONAL IS DOING EVERYTHING THEY CAN, BUT YOU MUST HURRY AT ONCE TO THE ESCAPE PODS! **End of updates. Thank you for using DynaMars Corporation's Ares Station Update Service! 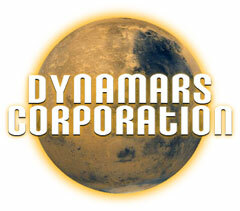 Keep up to date on the DynaMars Corporation's perpetually doomed efforts to colonize Mars.